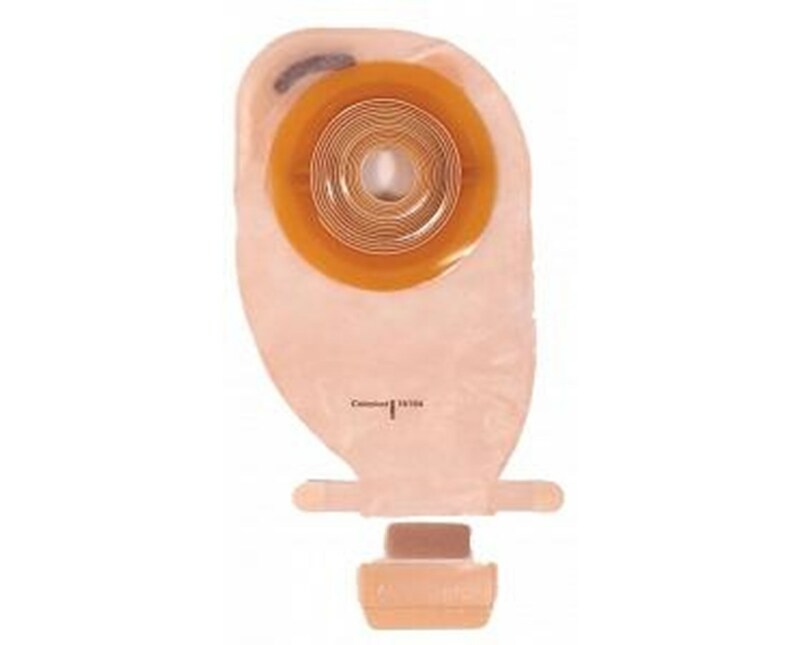 Select Size 14413: Cut-to-fit 5/8"-1 5/16" 14416: Cut-to-fit 5/8"-1 11/16"
The Assura EasiClose Drainable Pouch is easy to use and comfortable against the skin. The spiral structure adhesive provides optimal adhesion and superior skin protection. The Assura adhesive is a specially designed double layer adhesive that is rolled into a spiral structure providing security and comfort. The white spiral has been optimized for absorption in order to maintain a normal skin condition. The brown spiral has been optimized for adhesion and offers the security needed for prolonged wear time. The Assura pouches are made of a noise reducing and odor proof film. The back of the pouch, resting against the skin, features a lining made of extra soft material for comfort and added protection against skin irritation. 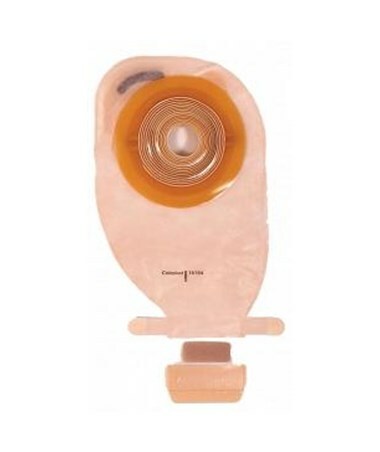 The EasiClose is an easy to use self-adhesive soft clip supplied with the pouch. The clip is applied to thepouch outlet, at which point the outlet is rolled upwards around the clip. The ends of the clip are then folded back to close the pouch. It is a closure system that is both secure and hygienic. A reusable clamp is available as an alternative to the soft clip. Purchase the Assura EasiClose cut-to-fit right here online, select from the drop down above, and press add to cart! Double layer adhesive that is rolled into a spiral structure providing security and comfort. Noise reducing and odor proof film. Lining made of extra soft material for comfort and added protection against skin irritation. Self-adhesive soft clip supplied with the pouch. The clip is applied to thepouch outlet and then rolled upwards around the clip. The ends of the clip are then folded back to close the pouch. Secure and hygienic closing system. Opening Size Cut-to-fit: 5/8"-1 11/16", 5/8"- 1 5/16"